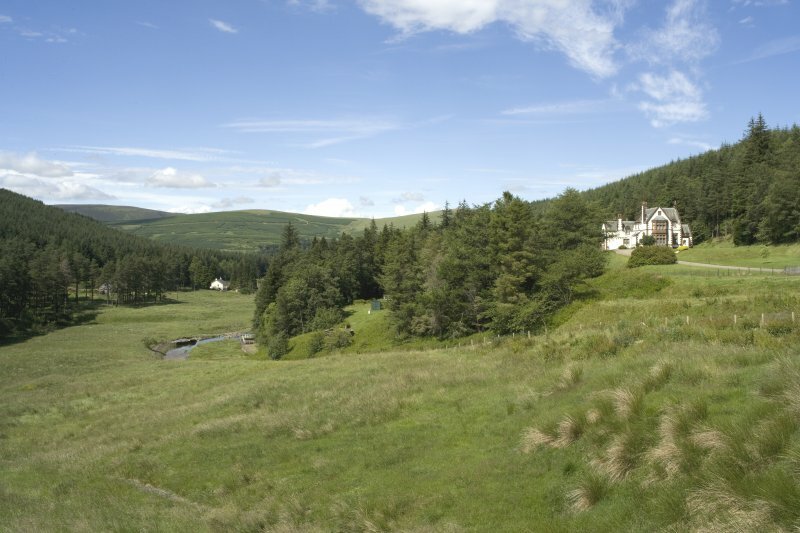 General view of pump station and access bridge on SW side of Talla Reservoir, from SW.
Talla waterworks Scheme, farmstead and house, from NW. 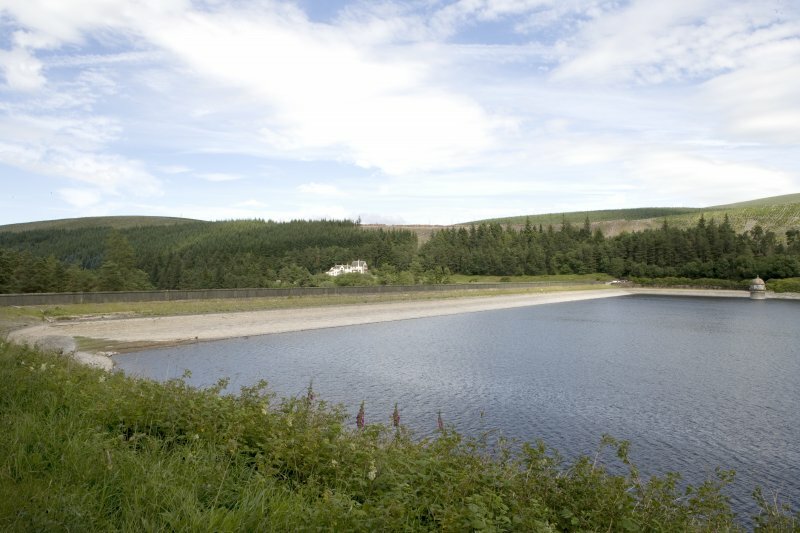 General view of dam area of reservoir on the SW side of Talla Reservoir, from W.
General view of pump station and access bridge on SW side of Talla Reservoir, from ESE. 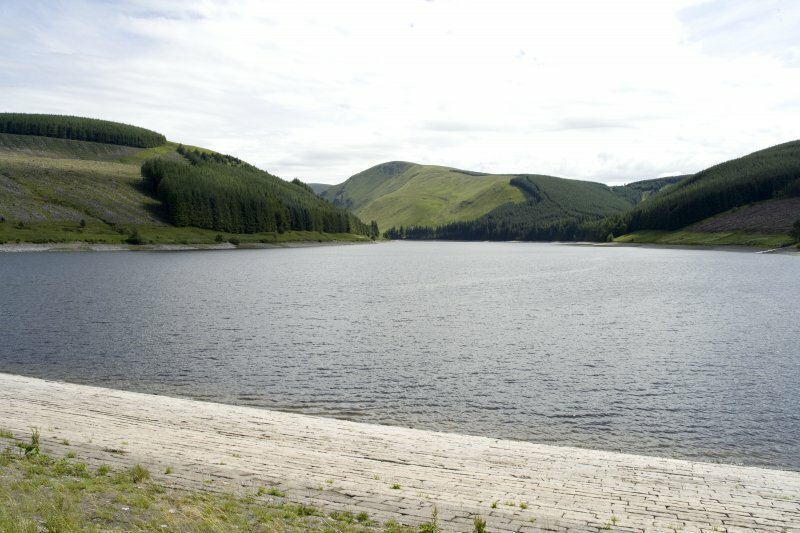 General view of Talla Reservoir, from SE. Oblique aerial view centred on the reservoir with the dam and keeper's house in the foreground, taken from the NW. 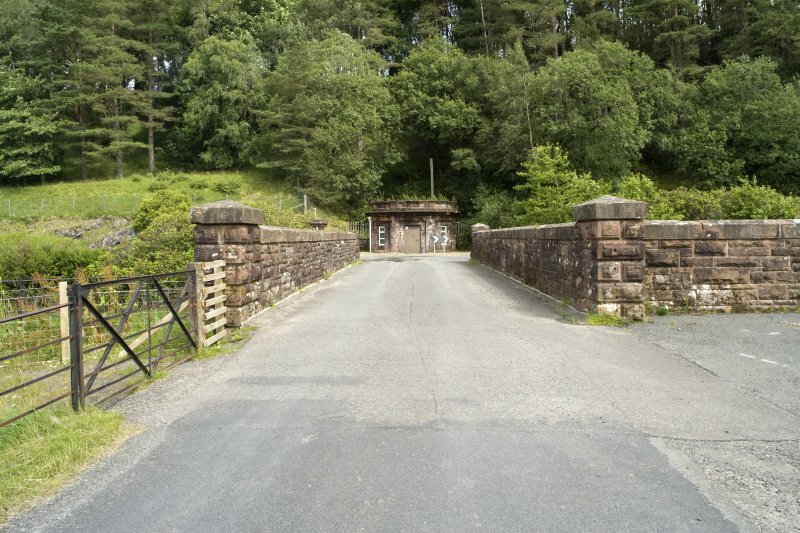 General view of pump station and access bridge on SW side of Talla Reservoir, from NW. 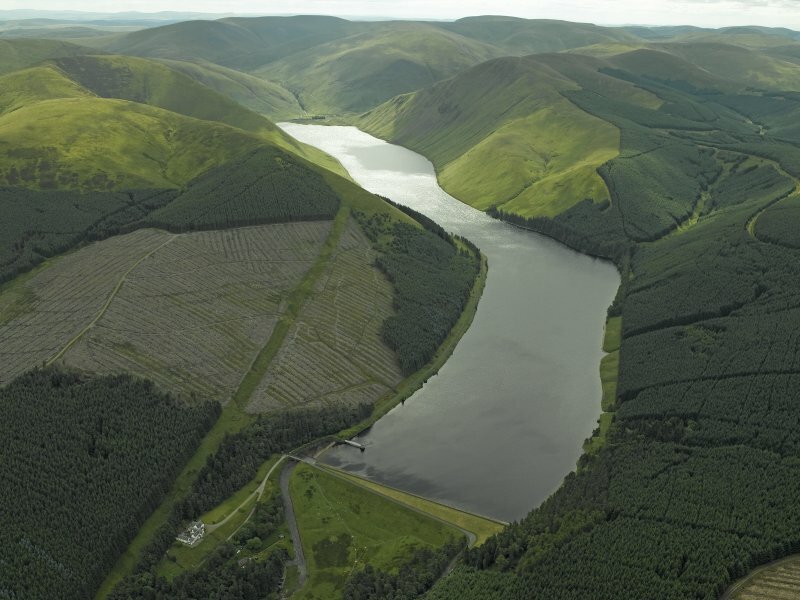 Oblique aerial view centred on the reservoir, taken from the SW.
Oblique aerial view centred on the reservoir with the dam and keeper's house in the foreground, taken from the NNW. 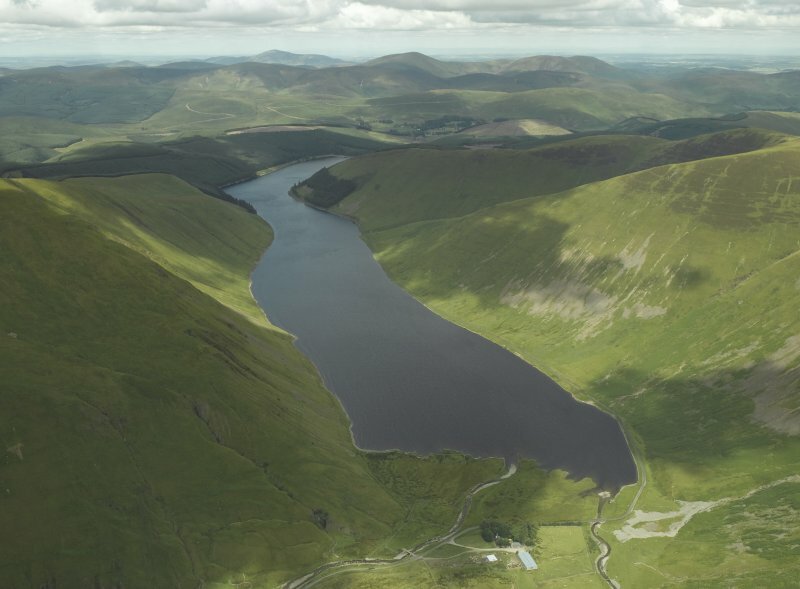 General view of dam area of reservoir on the SW side of Talla Reservoir, from NW. 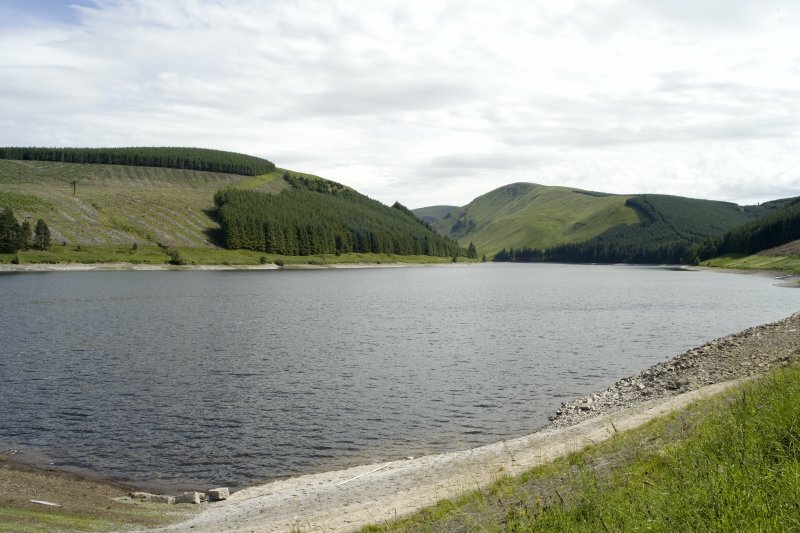 General view of Talla Reservoir, from N.
General view of pump station and access bridge on SW side of Talla Reservoir, from S.
General view of water channel area on the SE side of Talla Reservoir, from NW. 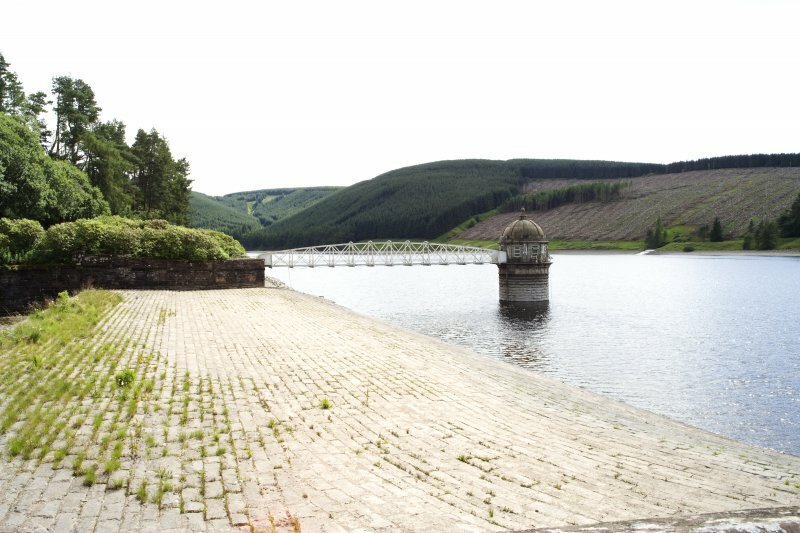 General view of Talla Reservoir, from E.
Detail of pump house, Talla Reservoir, from E.
General view of out building on W side of bridge over water channel, from NE. 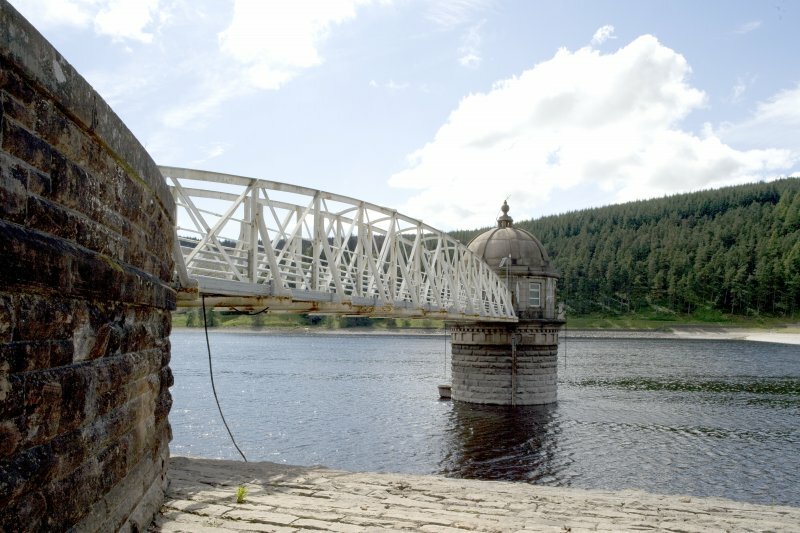 General view of bridge on SE side of Talla Reservoir, from NW. 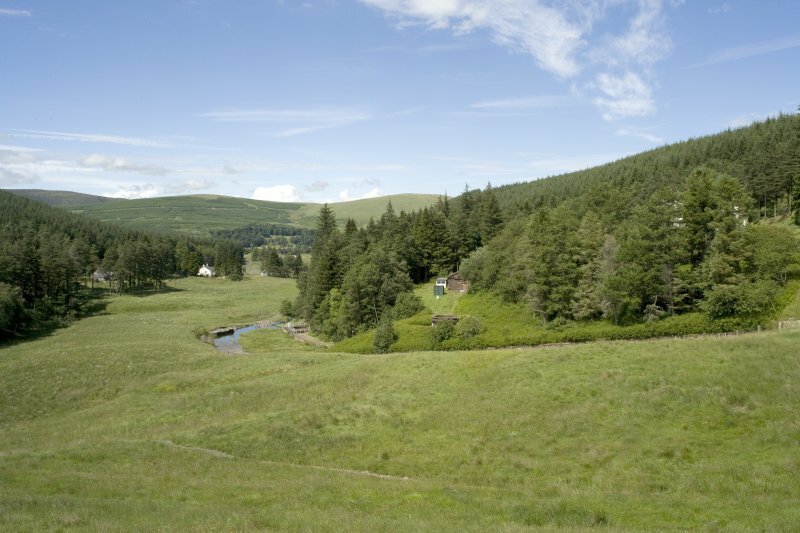 General view of Talla waterworks Scheme, farmstead, sheepfold etc, from NW. 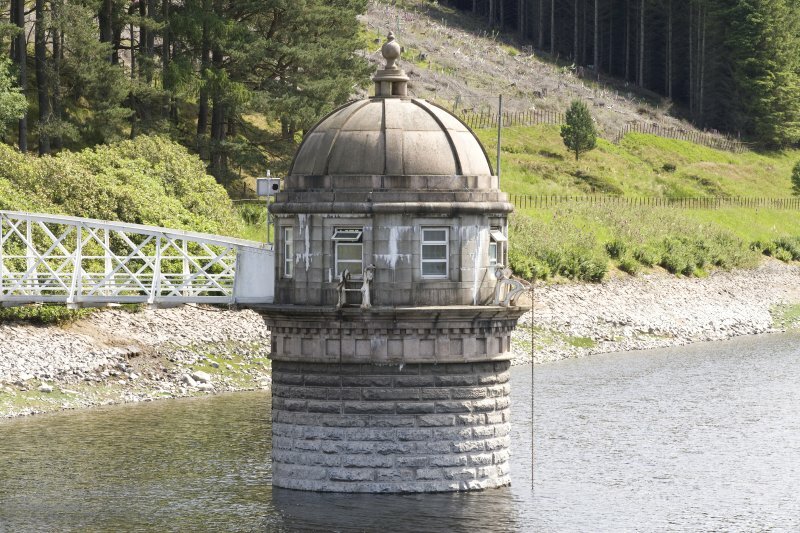 For enclosure and other structures (centred NT 1097 2178) submerged by the reservoir, see NT12SW 22. For associated aqueduct (NT 10648 23099 to NT c. 271 690), see NT12SW 38. For associated construction railway, see NT12NW 57.00, NT12SW 37 and NT13SW 85.00: summary information on the railway as a whole will be found on NT12SW 37. 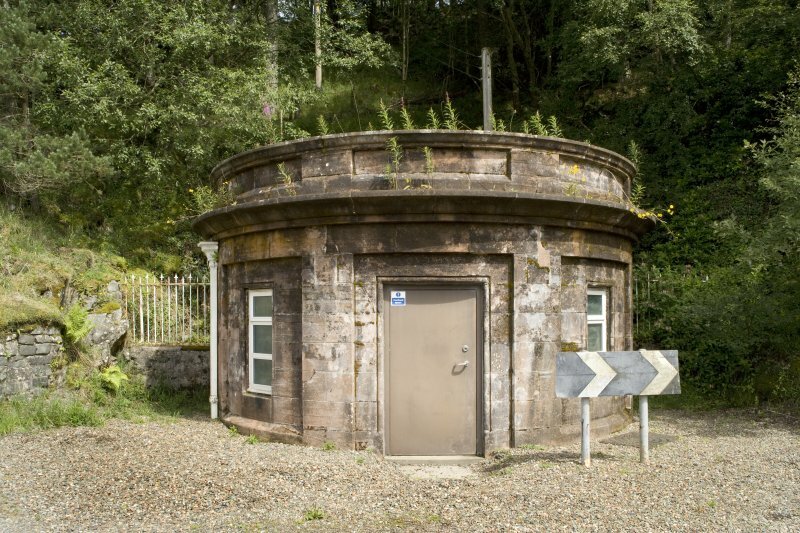 For associated Edinburgh, Liberton, Alnwickhill Waterworks (centred NT 27199 69001), see NT26NE 87.00. 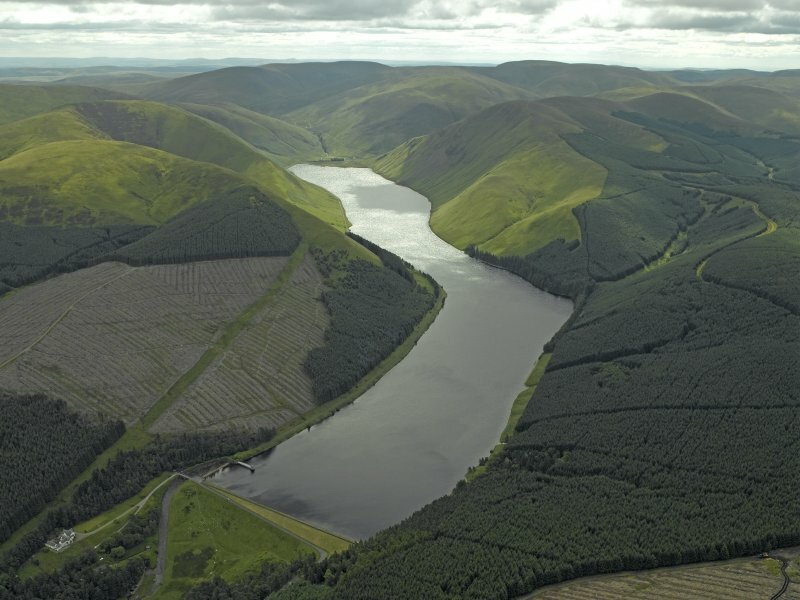 Developed under the name of the New Water Supply by the Edinburgh and District Water Trust, the Talla Scheme was adopted on 11 October 1894. 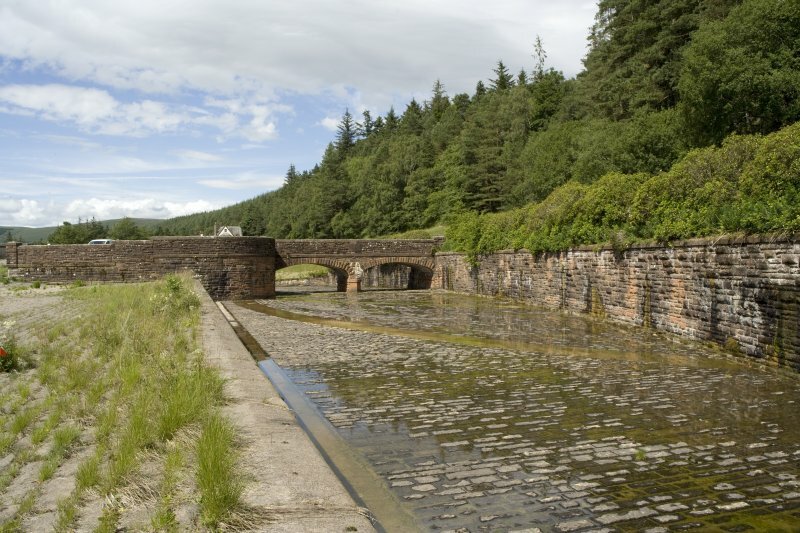 It comprised a storage reservoir, a service reservoir and filter, main and branch aqueducts, and a railway from Broughton Station to Talla. The authorising Act received the Royal Assent on 30 May 1895. 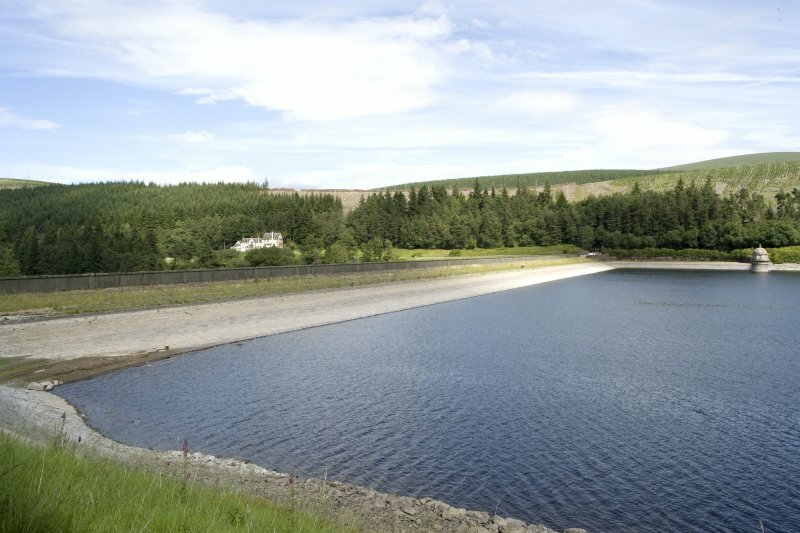 The length of the loch at maximum is about 2.5 miles (12.1km), and the greatest depth of water (close to the dam) about 80ft (24.4m). The total capacity is about 2,800 million gallons (12,727,000,000 lit). 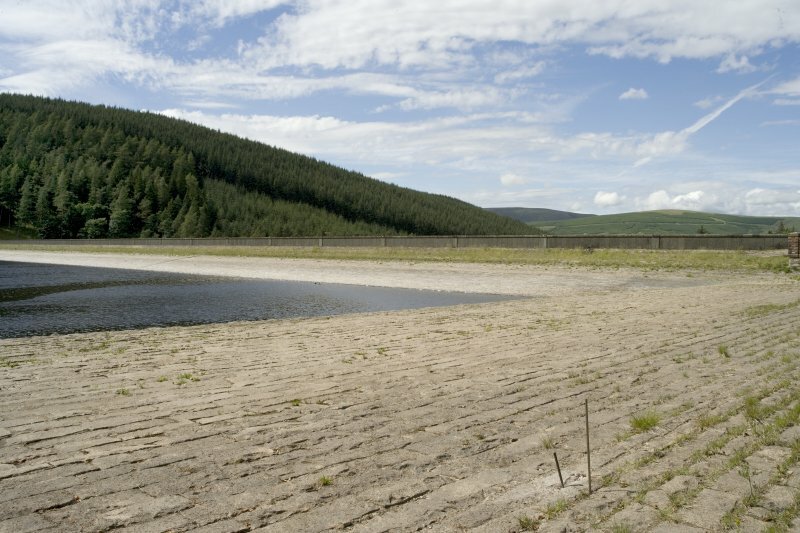 This reservoir was formed by damming the Talla Water, a tributary of the Tweed, and lies entirely within the parish of Tweedsmuir. It forms a major element of the water supply for Edinburgh, being built as a major element of the early 20th century development of the system. Information from RCAHMS (RJCM), 28 October 2005. Vertical air photographs: 541/A/530 3023-4 and 4023-4, flown 14 May 1950. Information from RCAHMS (KM), 29 November 2005.
upstream and 1 in 3 downstream. 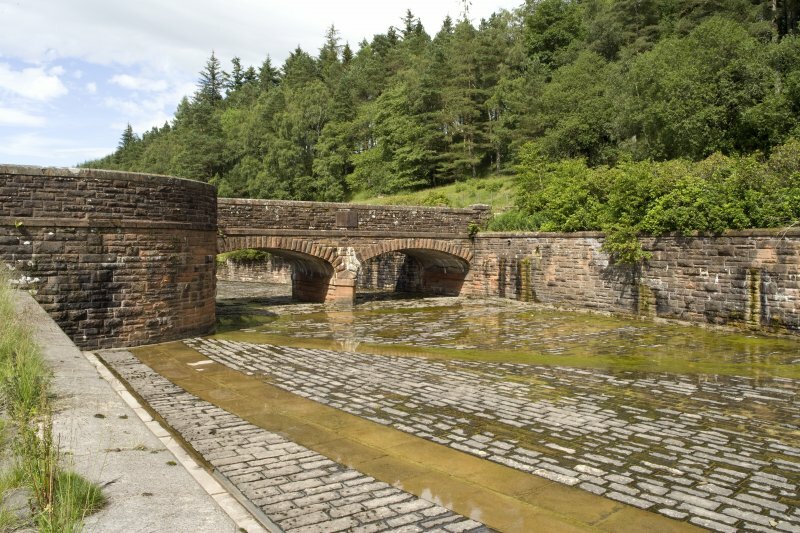 Water is conveyed 35 miles to Alnwickhill, Edinburgh by the Talla Aqueduct. 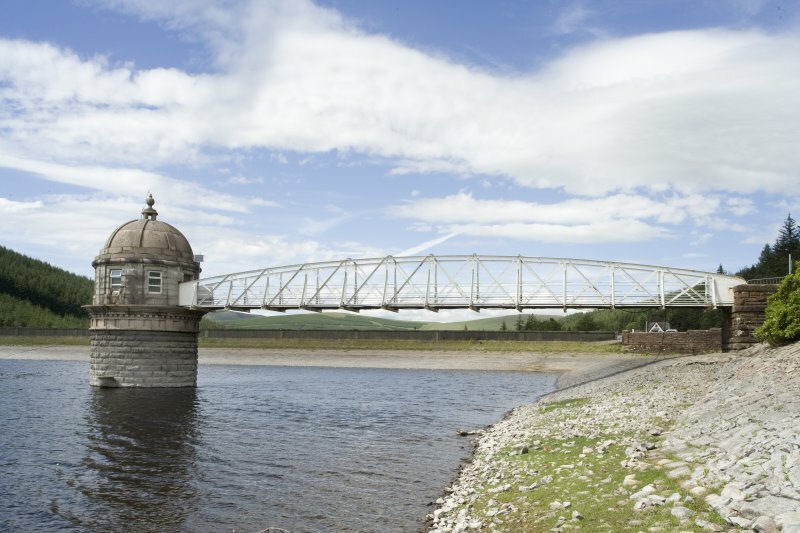 span over the Tweed, which also carried the aqueduct, and of 60 ft span over the Biggar Water, can still be seen. The line had a ruling gradient of 1 in 50. The engineers were J. & A. Leslie & Reid of Edinburgh. Construction was let in about 50 separate contracts, but the greater part of the works were carried out by James Young & Sons and John Best, both of Edinburgh, and Robert McAlpine & Sons of Glasgow. The total cost from 1895 to completion in 1905 was £1.25m. In the 1950s and 1960s the tributaries Menzion and Fruid were developed to augment the supply.